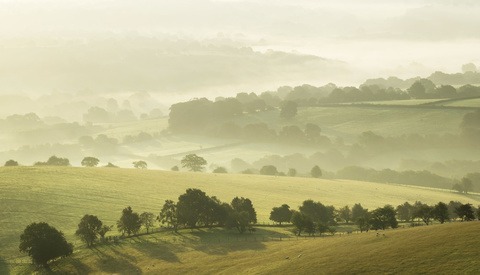 A lot of landscape photographers prefer a maximum depth of field when photographing wide landscapes. 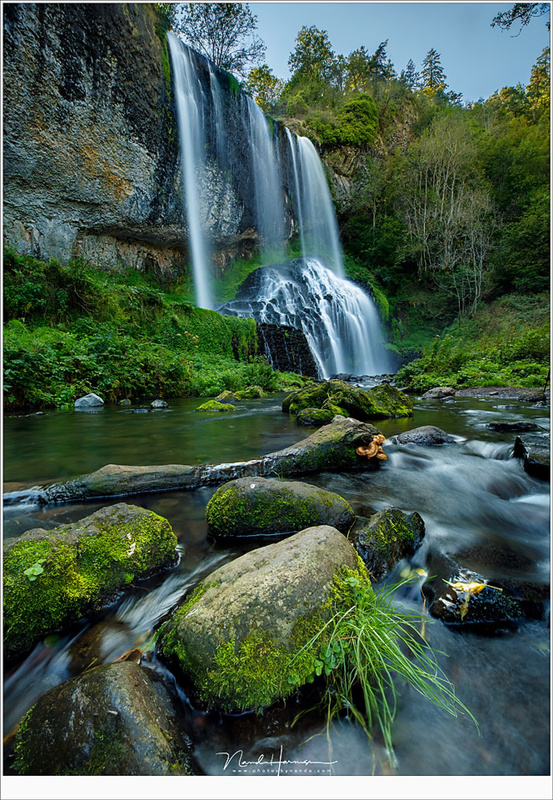 They love to use small apertures in combination ultra-wide angle lenses, making use of hyper focal distances or even focus stacking to achieve their goal. But not many have ever considered using a camera with a crop sensor for that goal. 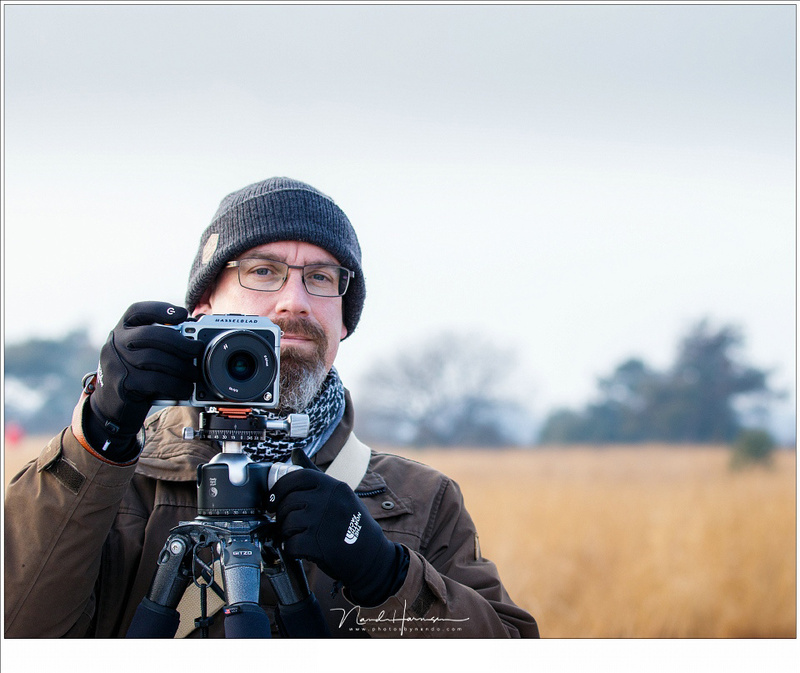 Except extreme wide angle landscapes and a depth of field that runs from a few centimeters up until infinity, landscape photographers often love a full frame sensor camera of course. At least, that is the feeling I get when listening around. 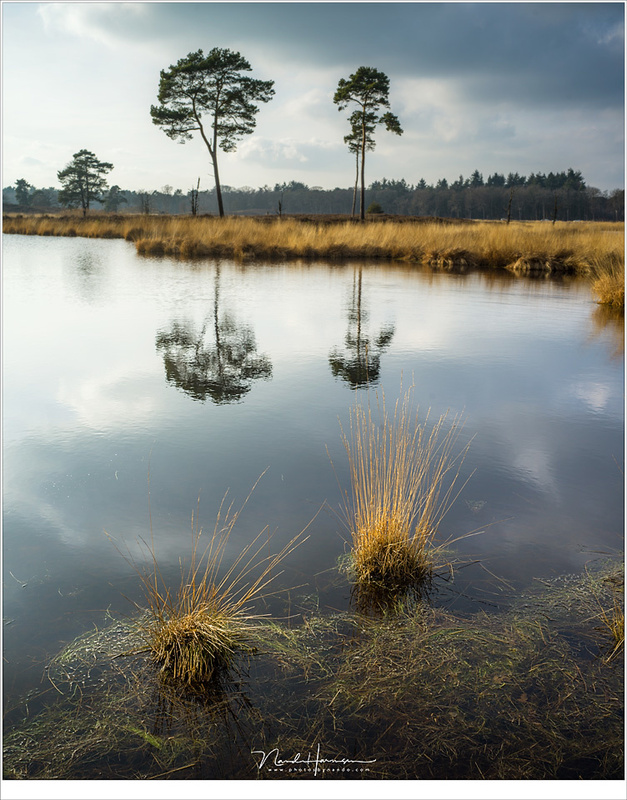 Some landscape photographers even have made the choice to use the new generation medium format cameras from Hasselblad X1D-50C or Fujifilm GFX-50S. 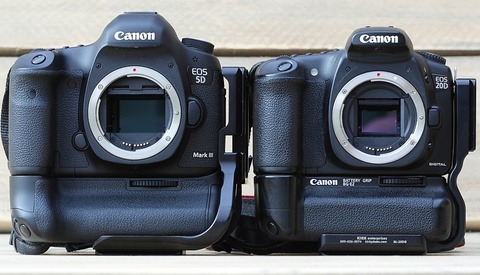 These amazing cameras — I have reviewed them both — can deliver a maximum amount of detail. But there is a downside: it will be much more difficult achieving the extreme large depth of field most of us seem to prefer in our landscape photos. 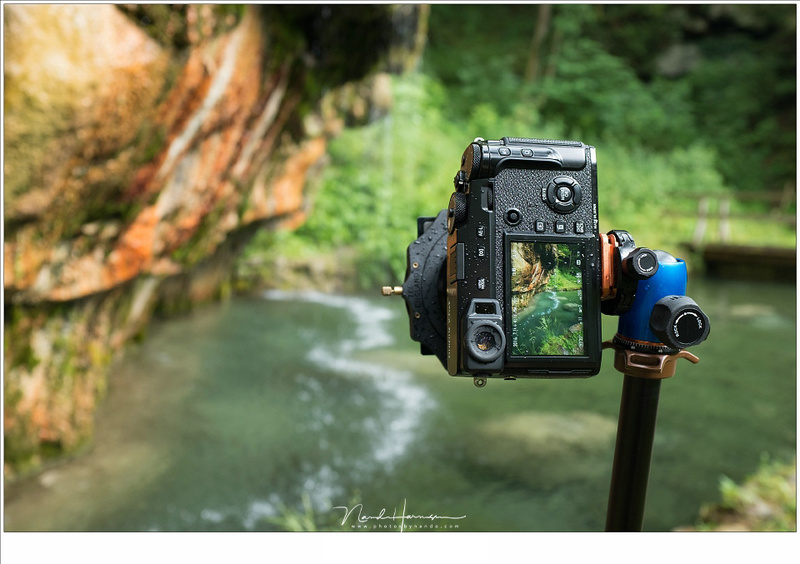 The reason for choosing a larger sensor for landscapes is obvious. The spacing between pixels and/or pixel size give these cameras a good signal to noise ratio. That makes it possible to use extreme high ISO values without the penalty of too much noise. And there is of course a large dynamic range, which is in a lot of occasions much better compared to the smaller size sensor cameras. But a larger sensor does not always mean a larger resolution. Small size sensors can also have 16 megapixels, or 24 megapixels, or even more. Although I must admit you won’t find a crop sensor with 50 megapixels or more at this moment. When shooting landscapes we almost always try to use an ISO value as low as possible. Therefor the risk of noise is very low and for that particular reason it is not necessary to use a larger sensor. Concerning dynamic range, a lot of landscape photographers love using filters to decrease the dynamic range of our scenery. And for those who don’t see the need for filters, there is always the possibility of using exposure bracketing. Thus the dynamic range of a camera for landscape photography is not really necessary (I know, I know, this is a tricky thing to say, because a larger dynamic range can make the use exposure bracketing or filters unnecessary). Except maybe a high pixel count, these two arguments for choosing a large sensor seem not really that important. 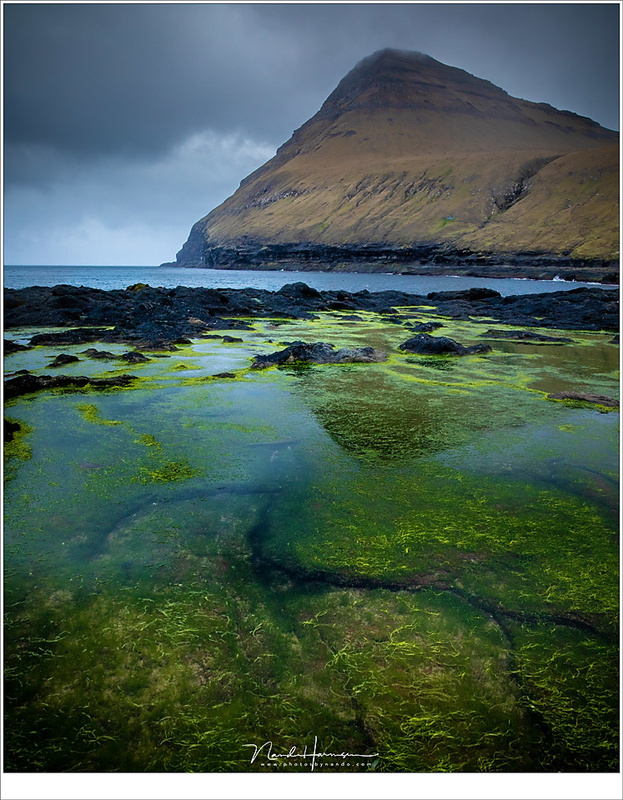 So you can wonder what the benefit is of using a large sensor size for landscape photography? Why not using a smaller sensor? When using a crop camera like this Fujifilm X-Pro 2 you need a 10mm focal length if you wish the same viewing angle as a 15mm on a full frame. Due to that shorter focal length you will have a larger depth of field when aperture and distance to the subject is the same. 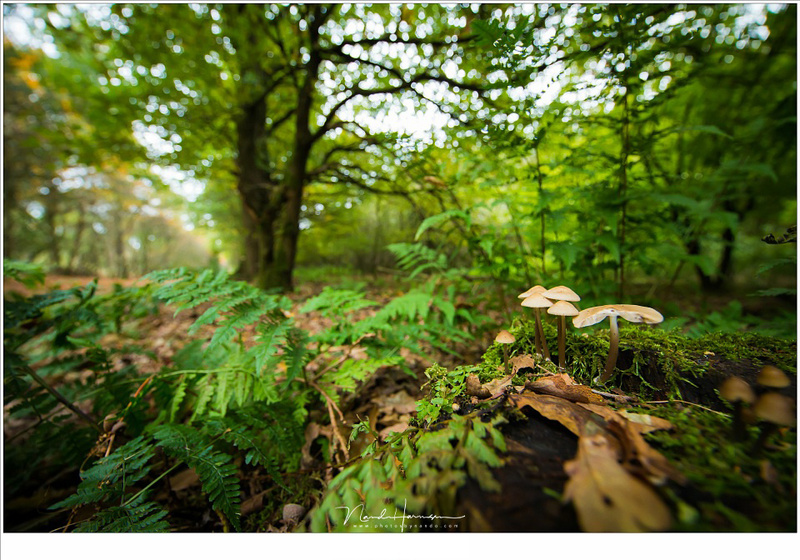 Let go back to my previous article about the influence of sensor size on depth of field. If you haven’t read it, then perhaps it is good to have a look at it. I explained how a small sensor size increases the depth of field when you try to achieve a similar photo made with a larger sensor. That is because you need a shorter focal length to have the same field of view. Let make an example. When you have made a composition with the subject at 1.5 meters distance, and you use a full frame camera with 24mm wide angle lens and an aperture of f/11, you will have a depth of field that runs from 0.8 meter up to 10.7 meter. If you would trade the full frame for a 1.6 crop camera, you will need a 15mm wide angle to have the same field of view. When the aperture and distance to the subject stays the same, you will have a depth of field that runs from 0.62 meter up to infinity. The difference in depth of field increases when using longer focal lengths and decreases with shorter focal lengths. At some point the difference becomes almost too small to notice, except maybe for the landscape photographer that is searching for the absolute maximum depth of field. For those who have one of those beautiful medium format cameras will suffer even more when trying to achieve a maximum depth of field. 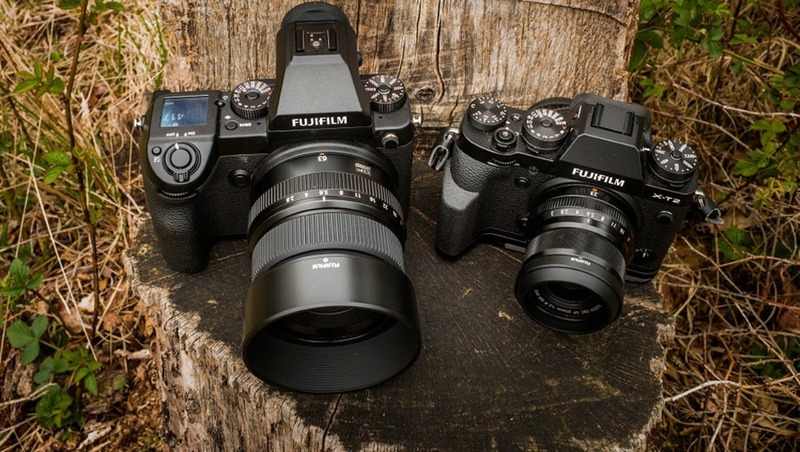 Compared to full frame these cameras have a crop that is 0.7 times the full frame sensor. Trying to get the same image as a full frame they need to have a longer focal length and thus decreasing the depth of field when keeping distance and aperture the same. Getting everything in the scene within acceptable sharpness will be more difficult. You need to use even smaller apertures with the increase risk of sharpness degradation (due to light refraction). Of course, you could use a lens with the same focal length that we used for comparison on a full frame, but it means the medium format will end up with a wider field of view. For a lot of landscape photographers that will be not much of a problem. When you love to use a small depth of field for landscapes, a larger sensor can help achieving your goal. But if you love using a maximum depth of field, you can have benefit from a smaller sensor size. A final note on maximizing depth of field. A short focal length will help, together with a small aperture. But the shorter your distance to the subject in the foreground becomes, the more difficult it will be to get everything within acceptable sharpness. If you cannot achieve the depth of field you need, you can always try out focus stacking. Some modern cameras even have that functionality build in. But perhaps you don’t need that maximum depth of field at all. Have you ever considered that? Please let me know in the comment if you always want a maximum depth of field in your landscape photos and how you accomplish that goal. That's a bit of a fallacy. You can get the same depth of field with the same level of visible diffraction (the article falsely calls it refraction) regardless of the sensor size. You can stop full frame glass down more until it becomes noticeable. That's the reason medium format lenses offer f-umbers up to f/64 - a number that would produce useless results on APSC glass. This-use both the equivalent focal length and f-stop and you get exactly the same results for depth of field, angle of view, and diffraction. Larger sensors do produce less noise and higher dynamic range at the base ISO, generally. There is no advantage to the smaller sensor; it's a myth. There used to be an advantage, apart from iq albeit, and that was lightweight and more portable and price, but even that seems to be diminishing more and more. Sorry for the click-baity / rage inducing first sentence. This whole post is admittedly a bit of an edge case. Just to get this out there: I do landscapes and shoot a lot at medium(ish) apertures (f/4 - f/9). I prioritize compactness over weight in my camera bag, so YMMV. I am also going to point out that I do not have endless resources, photography is not a cheap hobby and I don't think I would take this stance if it was my livelihood. Question: Why do I carry a honkin' heavy piece of full frame glass (Canon 70-300mm f/4-5.6 L) in my bag if I am shooting aps-c? Answer: I have (nearly) a uninterrupted range from 17-300mm at f/4 or wider with two Canon L lenses, with the ability to stretch that to 480mm. 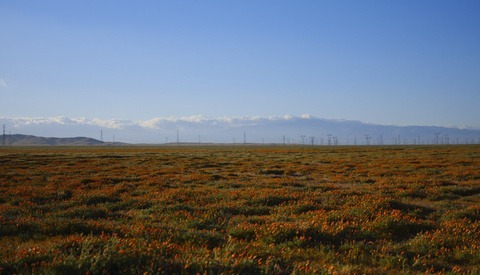 (The other lens is the Canon 17-40mm f/4 L). So, why does aps-c have better resolution? This is a matter of cropping. Let us suppose you want to take a telephoto landscape shot on a FF camera (let's say the 5D MkIV). That camera has a 30.1mp sensor. You pull out your 70-200mm, but the subject is too far away. This isn't a big deal, you can always crop in later. You do this, crop your 30.1mp file down to 18mp to get that subject framed the way you want. Now let us suppose, same compositional scenario, same lenses, 24.2mp aps-c Canon M5 (very different cameras), and appropriate adapters. We now have the reach due to the 1.6x crop factor to get that same composition, in camera, at 24mp. Voilà! better resolution for the same composition. This all comes down to the density of the pixels, the above was just an elaborate example. 5D MkIV approximate pixel pitch - 5.36 microns, approximate pixel pitch - 3.72 microns. Now there are a LOT of trade-offs here that probably negate the 6mp advantage aps-c carries in the above scenario; only using the "middle" of the FF lens, diffraction, physical sensor measurements, depth of field considerations, etc. You could also carry a teleconverter to add to the long end on FF vs what I do by carrying a focal reducer to add to the aps-c wide end. Personal preference and resources. Sorry this just makes no sense. The article is about the properties of different sensor sizes, you are talking about a very specific workaround for a very specific situation. Saying apsc sensors have more resolution is wildly misleading (yes I read your full post). Your claim of APS-C having more resolution than FF due to not having the proper glass and being forced to crop? How is this an equivalent comparison between 2 sensor sizes or systems? Hate to bring this into photography but “facts don’t care about your feelings”. APS-C has some size/weight savings and much like m43 due to the smaller sensor you also have less surface area to cool which allows for gains in video and fast fps shooting. For these benefits you are compromising on IQ (resolution, noise, DR). Worth it? Sure for quite a lot of photographers but your still compromising. When you are working with the equivalent setting (ie 12mm f/2 on M43 and 24mm f/4 on FF) even the noise is the same because the amount of light is the basically same. The larger sensor tho will usually have more detail because of more megapixels and because you will use lower spacial frequency to reproduce a certain detail, same reason why FF lenses perform worse on APS-C compared to the full sensor. Concerning the f-number that is usable... that is for my example not important. If you use the same f-number with different sensor sizes, and you keep the distance to the subject the same, and you use the equivalent focal length to achieve the same angel of view, your depth of field will change. But if you use different f-numbers, the comparison is wrong. no no no. Only if distance to the subject and the aperture stays the same. The same aperture will give you the same DOF on any sensor if you keep the FOV and distance constant. Perhaps you mean f-number? It is important to realize that f-numbers don't describe the same quantities on different systems. Neither does ISO. True, with the same aperture a longer focal length will produce a shallower DOF - on the same sensor. But DOF is a function of the magnification of the recorded image and that magnification is bigger on a smaller sensor, which makes them have a shallower DOF with the same lens attached and that cancels the effect of the longer lens. A 50mm f/2 and a 100mm f/4 both have the same aperture of 25mm, right? The 50mm will give the same field of view on a MFT sensor as the 100mm will give you on a FF, right? If you focus on a subject in 5m distance both setups will give you a DOF of 59mm (according to dofmaster.com). Same field of view, same aperture = same DOF (to a reasonable degree of accuracy). But I make the comparison of 50mm f/2 and 100mm f/2. You have to keep the aperture the same. That is the whole point. F-numbers and apertures aren't the same thing. F-numbers are a tool to calculate exposure values, apertures describe the relevant optical properties of a system. It is you who are comparing different apertures (by using the term f-numbers and apertures interchangeably) and that leads you to the false conclusion, that crop sensors have an advantage when it comes to producing more DOF. I get that defending your article in public puts you in an awkward position and dragging this out further will probably not be fruitful. I am more than happy to continue this conversation in a private chat and I will tell you there what qualifies me to talk about these things and point you into some directions you can research to fully understand the topic. This all depends on when diffraction kicks in, if it kicks in at 5.6 on APSC and 8 on FF, you just lose that advantage. Everyone looking for that free meal, but in the end everything has a trade off. Applying the crop factor to the f-stop equalized both depth of field and diffraction. Precisely. That’s why a crop doesn’t offer significant advantage. It's not a "crop sensor" any more than a Phase One is an "inflate" or "balloon" sensor. Sensors come in different sizes. That's all. Anyone pushing the notion that 35mm, and ONLY 35mm, is "full frame" should be getting paid by the marketing departments at Nikon and Canon, and should divulge such to the reading public. Hey Nando, I see you downvoted my comment. Care to explain why? The Merriam-Webster dictionary defines "crop" as: "to remove the upper or outer parts of"
That is not what a standard sensor of ANY format does. The only exceptions are "multi-aspect" sensors that capture smaller 1:1, 3:4, 2:3 and 16:9 areas of a larger sensor area, such as those found in Panasonic's LX-series compact cameras. So, tell us, then, exactly why an APS or MFT sensor is "cropped" when you don't also characterize a 35mm sensor or film frame as "cropped" even though it's smaller than a medium format sensor or film frame. And, nobody refers or referred to medium format as "cropped" just because it was smaller than large format. Prior to the recent misappropriation of these terms, "cropped" meant an image that had been cropped AFTER capture so that it no longer represented the full image captured by the sensor or film, hence the common practice of printing the film registration border to prove that a printed image had not been cropped. The current "full-frame"/"cropped" language is entirely a product of 35mm-format digital camera makers' marketing departments. Also regarding: "Me photographing with the Hasselblad X1D-50c. This large format sensor..." The Hasselblad has a MEDIUM-format sensor. "Large format" historically has referred to cameras of 4x6 and larger formats, including technical view cameras fitted with Better Light scanning backs. I'm only 54, but I started developing and printing my photos in a wet darkroom in 1980, and folks who don't understand the history of photo terminology make me feel OLD. Simple. You are questioning the terms cropsensor and fullframe sensor and all those other widely used names of sensor sizes. Perhaps you are right, but if I would not use these names, most people would be at a loss. If I use the name fullframe sensor, everyone knows what that is. It would not work if I would use the term 36mm sensor size, like we used to with negative and positive film. I down voted you comment because I find this name giving discussion completely off topic. But that is just my humble opinion. It's not that hard. You could just say "APS and MFT sensors" or "sensors smaller than 35mm-format". I mean, what do you say when referring to sensors LARGER than 35mm format? "Fuller-frame"? "Super-frame"? Most folks just say "medium format" or "large format". The terms "crop" and "full-frame" have a long history, and they had other logical and widely-accepted meanings before CaNikon's marketing departments came along and misappropriated them in the early 2000's. Quote from the article above: "Although I must admit you won’t find a crop sensor with 50 megapixels or more at this moment." The Olympus OM-D e-M1 mkII will shoot 80mp RAW and 50mp jpg. And you get double the depth of field at the same aperture when using M43 cameras. Is that a real 80mp sensor, or a smaller resolution that works with pixels shift techniques? In short the article says that for instance with a cropped sensor we can apply a lower f-numbber than with a FF for the same d.o.f and this give advantage regarding diffraction. This is wrong, there is no advantage for diffraction. The typical size of a diffraction pattern on the focal plane is d = 1.22 * f * lambda f being the f-number and lambda the wavelength. So yes d (the size of the diffraction patern) will be 1.5x smaller at f/8 on a APS-C than at f/12 on a FF. But the detector is 1.5x smaller so the proportion of the diffraction pattern size regarding the detector size stays equal. In otherworld when looking at a picture on the wall the diffraction will be the same on APS-C f/8 and FF f/12. All is scalable.